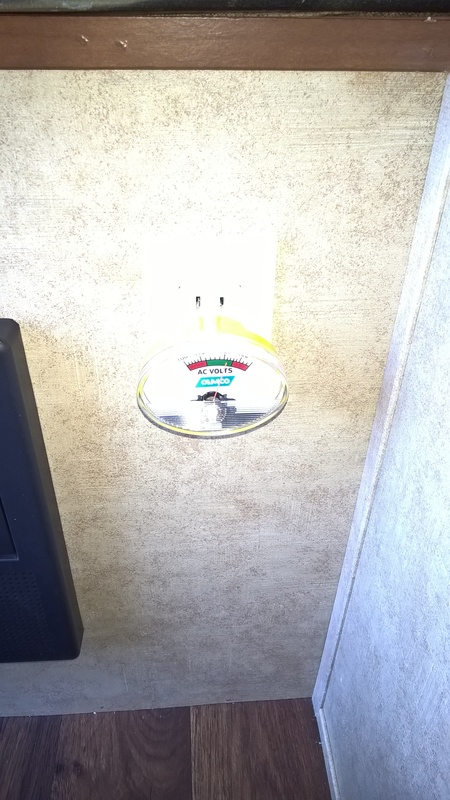 Have you ever wanted to monitor the AC power you are getting from the pedestal at the campground you are currently plugged in to? I know you can go and speed $400 on a Surge Guard and extra if you want a separate display for it. But do you need it? That is a really tough question that has two vastly differing opinions. As someone who has been a network engineer over the last 13 years, I have seen my share of catastrophic failures in LAN rooms due to various environmental causes such as water, lightning strikes etc. Although I think it is necessary in a LAN room, I do not believe that it is cost effective. LAN room UPS’s can cost from about $100 to several thousand dollars depending on the size and features, but most of my LAN rooms have less than $10,000 worth of equipment being used in them, and with sufficient offsite backup, data loss is limited and having spares, means that downtime is also limited. So for me to spend $10,000’s every year to maintain a fleet of UPS’s does not offset the once every 2-3 year catastrophe. And in my case, the vast majority of these issues are water related, and when power related it is almost always due to a direct lightning strike, for which no UPS will survive or protect the downstream hardware. So in reality the cost analysis for using a UPS to protect hardware from failure due to a very rare power spike or drop does not justify them. But they are still necessary to ensure uptime which is more important than cost. For an RV, I like to apply similar logic. What types of issues are most likely to cause hardware in your trailer to fail? The next question is how big or how long a brownout would it require to burn out the motor in your AC, seconds, minutes, hours or days? I would guess it would be at the longer end of that equation. So for me I thought, if I had the spare $400 burning a hole in my pocket, it would be nice to have a Surge Guard, but since I don’t, what else can I do to minimize my risk? The first thing is easy, use quality (hear not Dollar Store quality) power bars on your sensitive electronics. 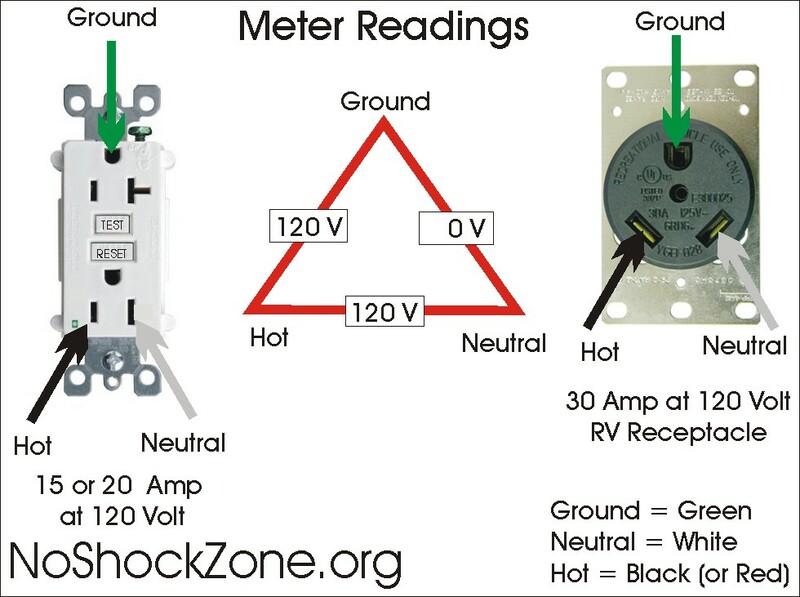 You can get a good assortment of small RV friendly ones with high Joule ratings some even with USB plugs for under $20 at any hardware store. The last thing you can do is cheap and easy. I picked this up from Amazon for under $10 and there are many other versions that you can get in digital, with alarms etc. 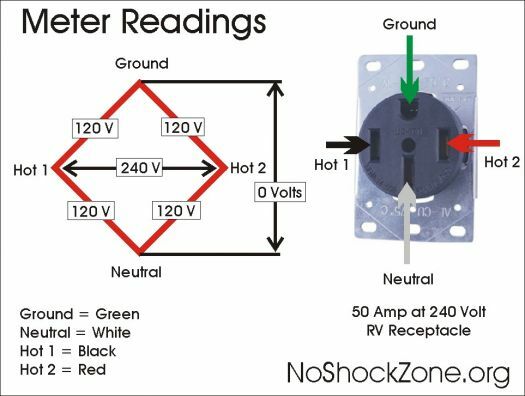 This is a simple AC voltage gauge and it even has markings for the safe and unsafe voltage levels. I just plugged it into an easily visible plug and watch it from time to time to ensure we are not in the red. If we are I would turn off any motors such as AC until normal power levels return.